Hi readers. This is where I disclose that certain links I place on this site are for affiliate or partner products or services. I earn a commission on any purchases or installs you make from thee links at no additional cost to you. My goal for the site is to be a resource for bloggers and writers who want to expand in any number of ways beyond their personal blogs. Please know that my work on the site is ultimately intended to be a for-profit business and I would hope that many of my readers have the same goal for their websites and blogs. Please assume that any links leading you to products or services are affiliate links that I will receive compensation from (though some may not be those types of links). That said, I am quite picky about products and services I promote, and typically promote those that I have used personally and/or have audited and feel would be beneficial for my audience. I will also often use affiliate links for Amazon.com for books mentioned in the body of articles we publish. 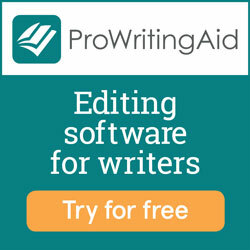 Some examples of our products and services recommended using affiliate links include Pro Writing Aid editing software, SumoMe tools to grow your blog’s audience, 99 Designs for things like book cover and logo design, courses like Mom Blog Academy, and Amazon Products like books and other writing-related tools. Some service providers have given me free access for a limited time for auditing purposes and my compensation is in the form of affiliate commissions. Please don’t hesitate to contact me at susan@beyondyourblog.com with any questions. This Compensation Disclosure has been provided for your protection and to fully disclose any relationship between this sites product or service recommendations and the owners of those product or services. The owner of this website is required by the FTC to inform you that a relationship exists between Beyond Your Blog and some of the products or services it reviews, recommends or promotes. Beyond Your Blog makes use of affiliate relationships with merchants for monetization. This means when you click on links to various merchants on this site and make a purchase, this can result in a commission that is credited to this site. Some affiliate programs and affiliations include, but are not limited to, SumoMe, 99 Designs, Pro Writing Aid, and Mom Blog Academy. We are a participant in the Amazon Services LLC Associates Program, an affiliate advertising program designed to provide a means for us to earn fees by linking to Amazon.com and affiliated sites. The opinions expressed here are those of myself as an individual and are not necessarily the opinions of nor reflect the views of any merchants I am affiliated with.